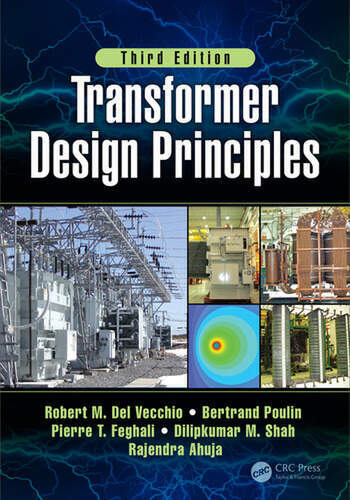 In the newest edition, the reader will learn the basics of transformer design, starting from fundamental principles and ending with advanced model simulations. 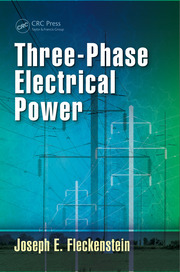 The electrical, mechanical, and thermal considerations that go into the design of a transformer are discussed with useful design formulas, which are used to ensure that the transformer will operate without overheating and survive various stressful events, such as a lightning strike or a short circuit event. 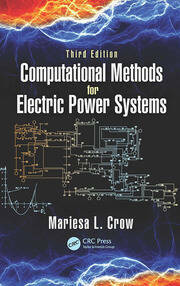 This new edition includes a section on how to correct the linear impedance boundary method for non-linear materials and a simpler method to calculate temperatures and flows in windings with directed flow cooling, using graph theory. It also includes a chapter on optimization with practical suggestions on achieving the lowest cost design with constraints. Robert M. Del Vecchio received the BS degree in physics from the Carnegie Institute of Technology, Pittsburgh, PA, the MS degree in electrical engineering, and the PhD degree in physics from the University of Pittsburgh, Pittsburgh, PA in 1972. He served in several academic positions from 1972 to 1978. He then joined the Westinghouse R&D Center, Pittsburgh, PA, where he worked on modeling magnetic materials and electrical devices. He joined North American Transformer (now SPX Transformer Solutions), Milpitas, CA, in 1989, where he developed computer models and transformer design tools. Currently, he is a Consultant. Bertrand Poulin, received his Bachelor of Engineering degree in Electrical Engineering from École Polytechnique Université de Montréal in 1978 and his MS degree in High Voltage Engineering in 1988 from the same University. Bertrand started his career in a small repair facility for motors, generators, and transformers in Montréal in 1978 as a technical advisor. In 1980, he joined the transformer division of ASEA in Varennes, Canada as a test engineer and later as a design and R&D engineer. In 1992, he joined North American Transformer, where he was involved in testing and R&D and finally manager of R&D and testing. In 1999, he went back to ABB in Varennes where he held the position of Technical Manager for the Varennes facility and Senior Principal Engineer for the Power Transformer Division of ABB worldwide. He is a member of IEEE Power and Energy Society, an active member of the Transformers Committee, and a registered Professional Engineer in Québec, Canada. Pierre T. Feghali, PE, MS received his bachelor’s degree in Electrical Engineering from Cleveland State University in 1985 and his Master's degree in Engineering Management in 1996 from San Jose State University. He has worked in the transformer industry for over 23 years. He started his career in distribution transformer design at Cooper Power Systems in Zanesville, Ohio. In 1989, he joined North American Transformer in Milpitas, CA, where he was a Senior Design Engineer. Between 1997 and 2002, he held multiple positions at the plant including: production control manager, quality and test manager, and plant manager. He became Vice President of Business Development and Engineering at North American Substation Services, Inc. He is a Professional Engineer in the state of California and an active member of the IEEE and PES. Dilipkumar M. Shah received his BSEE degree from India in 1964 and his MSEE degree from IIT (Chicago, IL) in 1967. From 1967 to 1977, he worked as a transformer design engineer at Westinghouse Electric and Delta Star. He joined Waukesha Electric Systems in 1977 as a senior design engineer and then the engineering manager. Since 2002, he has been working as a transformer consultant for utilities in Argentina, Brazil, and US, covering areas such as design reviews, diagnosing transformer failures, and for transformer manufacturers in Argentina, Brazil India and US on improving their designs and manufacturing practices for transformer up to 500KV. Presently, he is working as a consultant for Auriga Corporation as a transformer specialist. Rajendra Ahuja graduated from the Univ. of Indore in India, where he received a B.Eng. Hons. (Electrical) degree in 1975. He worked at B.H.E.L. and GEC Alsthom India and was involved in design and development of EHV transformers and in the development of wound-in-shield type windings. He also has experience in the design of special transformers for traction, furnace, phase shifting, and rectifier applications. He joined North American Transformer (now SPX Transformer Solutions) in 1994 as a principal design engineer and became the manager of the testing and development departments. He became the vice president of engineering at SPX Transformer Solutions. 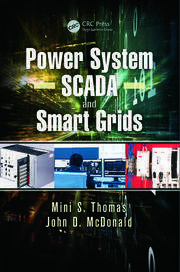 He is an active member of the Power and Energy Society, the IEEE Transformers Committee, and the IEC. He is currently a consultant.